To turn Rand on her head and use Atlas to bring the Machine of Capitalism down. In Atlas there are hundreds and hundreds of subversive ways. Of course in a first reading identifying with Dagny I experienced - long ago - all these blocks, speedbumps, interferences and distractions making it impossible for her to run her railroad Taggert Transcontinental without government regulations of seeming stupidity. A present reading inverted is a treasure house of strategies for bringing it down and full of resonances for creative variants. 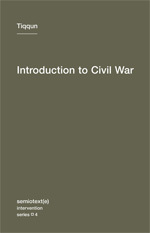 Deleuze was dismayed that this book was being studied by an Israeli General. His theory to expose being turned on its head to do that which it was intended to prevent. Theory can be turned upside down to be used against itself. 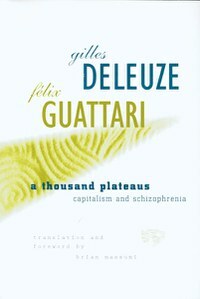 Deleuze changed his style of writing after this to cut it off at the pass. 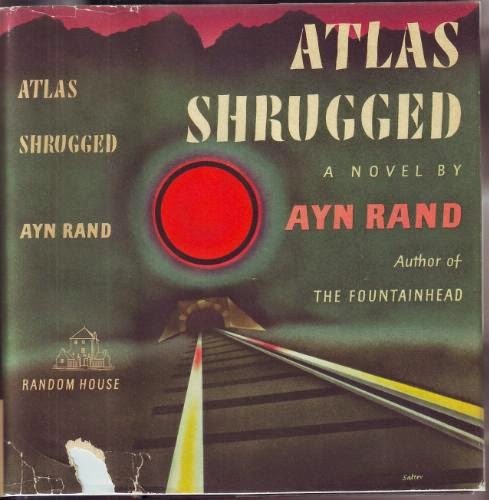 Capitalism in Atlas Shrugged is mostly territorialized. That is, Reardon has workers at his steel mills that live around where his steel mills are. At this phase in capitalism the OWNER had an interest in the workers and their families as did the aristocrats in Europe. It was the capitalist to see that they would be healthy enough to labor and be somewhat secure in their domestic life so as to continue to provide labor for him. Often churches were funded, etc. Today we move in a world in which DETERRITORIALIZED CORPORATE CAPITALISM is the metastasized variant, the expansion of corporate capitalism. There is no longer any PRODUCT as there is in Atlas. Capital moves around the globe, circulating like the rising and setting of the sun to paraphrase Jean Baudrillard. 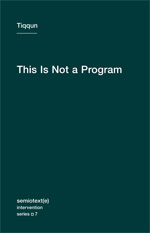 There is no product. Money makes money and money has become "floating sign," code in a digital world.Neither Marx nor Rand saw this coming at the world. Rand is spot on in describing NEO-LIBERALISM. That fake compassion of the poor while they line their off shore foundations with MONEY! The MASK is the fake face concealing the plunder. And Dagny has gone to the Wayne-Faulkland Hotel to confront Francisco - details here - on why he invested $15,000,000 in the San Sabastian project in Mexico when he knew Mexico would seize it. He knew it was really just a real estate venture to siphon off money into certain pockets. Like Buffet's investing. People follow him with their money and government money and then it all implodes. Francisco is jubilant. Dagny is disgusted knowing he did it on purpose but cannot understand why. She is like most people today. She cannot invert and demonically bring it down, stop the world until the lights of New York City go out. Dagny cannot go on STRIKE. Yet. 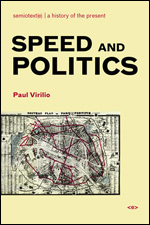 Virilio was appalled to know his books were being studied in military colleges all over the world. Time is the Speed at which the past decays. Speed deprives us of memory and contemplation. Without both we cannot think. The past as well as the future will disappear. No one will remember anything. Alzheimering all of us?You got it! And what is tiqqun's prescription? Do not lend your strength in any form to the enemy. I will never link to Amazon again for books..
SHE KNOWS BUT DOES NOT KNOW SHE KNOWS. And I keep wondering if 9/11 was THAT GIFT to which the system cannot return the COUNTER-GIFT. In reading this review from Unemployed Negativity more resonances emerged. I love his reading BTW. 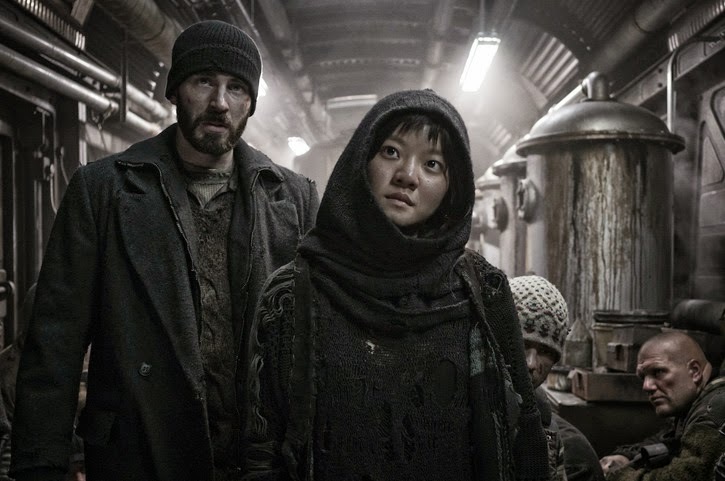 I am reading the film Snowpiercer through Ayn Rand's Atlas Shrugged, a sort of different reading. In the early 1960's I attended Objectivist Lectures in Philadelphia given by Barbara Branden. (1960-1962) and sometimes Rand herself came to the Q and A time after the lecture. I never asked one question in two years. I didn't because I had read her fiction and newly published non-fiction (For the New Intellectual and The Objectivist Newsletter) and any question that was asked I already knew what my answer would be and waited to see what Barbara Branden, Nathaniel Branden, Leonard Peikoff, Alan Greenspan, et al and even Ayn Rand herself would reply.The questions were most often stupid and were posed because, well, IDK why........maybe just so they could stand up and ask her a question? So while Barbara and Nathaniel were cool and poised, Rand would begin to show irritation, frustration (me too) and would sometimes get angry or at least emotional. 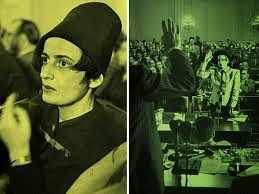 So when Tilda Swinton gives her over the top speech as Mason in Snowpiercer, my immediate association was not Thatcher but Rand in all her outrageousness. Her hair, her facial expressions, all exaggerated of course. Much like the teacher in the classroom car is all Reese Witherspoon in her 1999 movie Election, so much so that I thought young Reese was in the movie for a second. Here is a clip of Tilda Swinton as Mason. A man's arm is being attached to a "sleeve" to plug into its gasket in the train to have the arm held out to the way below arctic freezing temperature outside to demonstrate to the "tail" section the danger in revolting and stepping outside the safety of the train. Mason gives her speech and she is quite mad and wonderful. Tilda Swinton as Mason in Snowpiercer. The Sacred Motor is the "sacred" motor Dagny finds at the defunct Twentieth Century Motor Company, where Galt was working and designed it. It is an engine of the future and it is in need of serious repair which Dagny gives to - I forget - to fix. Dagny has plans to put this engine into her locomotives of Taggert Transcontinental. Dagny's engine will ride the rails made of Reardon Metal a metaphorical image irresistible to someone who thinks Lacanian. The engine in Atlas is patterned after Nicola Tesla's engine built for Westinghouse when he was inspiring Edison who stole all his ideas. It was an engine that had no fuel needs, just evidently air, that car accelerated in a few seconds. It was scrapped, its existence hidden, a secret. After all Standard Oil of New Jersey was a powerful corporation at that time. An eternal engine like that would not have been welcomed by the players of the game. Anyway it is gone and we just imagine and guess about it and some try to reinvent it in their garages. So here it is in all its magic glory in Snowpiercer. A train that circles the earth once each year, like a sort of ground satellite. The Eternal Sacred Engine is everlasting, irreversible, just like Capitalism. It continually goes. The social structure inside the train is confinement of classes. The beggars of the earth are in the "tail" - nice symbolism here - and the Sacred Engine is at the front with its designer who is now getting old. He is wearing out. telling Foucault to go to the edge of the abyss and continue the pressure until it all implodes into the chasm. Until it commits suicide. The Asian drug addict Kang-ho Song in a wonderful performance has observed that the snow is melting. That they can exist outside the train. under a hatchlock. He sees what he will have to continue doing and he cannot. huddle together waiting for the detonation. survivors. That wonderful moment as she pushes her hood off her head bared to the air. The last frame is the polar bear looking at us. X-ray and curioushairedgal have had a running disagreement about a statement of Rand's: So if the Roark character figuring in the text corpus The Fountainhead, Roark was to her "as man should be", one can infer that she meant what she said. I am forced to side with x-ray in this incredibly and astonishing closure of this discourse. I am not agreeing with x-ray because she quotes Rand as "meaning what she says," but because of Zizek's intricate Lacanian analysis of the distinction between desire and drive. If x-ray had stopped at the end of the quote, she would have secured her point. This statement about Roark comes from Nietzsche's Overman, his ubermensch. 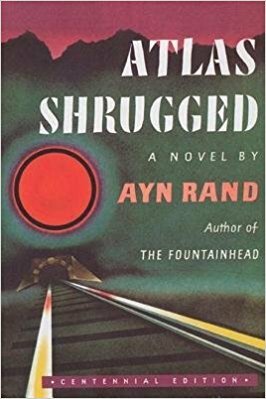 To stay in context Rand is still reading Nietzsche, (going on about 20 years now) making entries in her Journal during the planning and writing of Fountainhead. 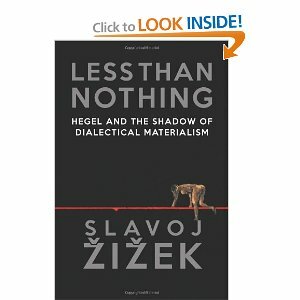 Now to move on to Zizek! 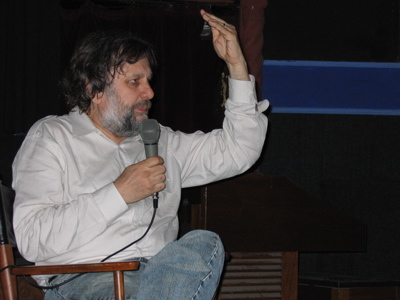 Here in Zizek's article he takes on Rand's characterization of Dominique at the level of desire in the dialectic. Two of my friends are currently reading Roland Barthes. One keeps hurling invectives at the page. 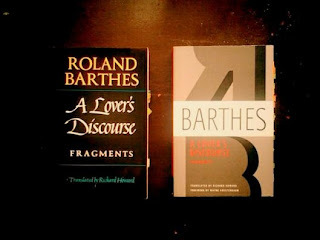 The other, whom I see almost every day, likes to send out snippets on Twitter, professing her endless love for Barthes’ words, swearing against life itself that this book is hers, it knows her, no other writer could come close to what she tries, in vain, to say about love. This friend asks me, “You remember what he said about absence?” And I itch to rid of the conversation, of her questions, of her testimonials about how fated she and this book are. She offers, “It’s so hard to talk about, no? It’s so personal.” And I itch to rid of the conversation. I think her unworthy, I think her views unworthy, I think her identification with my words unworthy. I think anyone undeserving of this book. I think of everyone who comes to A Lover’s Discourse: Fragments as an intruder to my love affair with it, its captivation of me, my willing enslavement to it. I have known this for four and a half years, perhaps felt it for longer:A Lover’s Discourse is mine. Doesn't this resonate with Kristen Stewart's refusal to discuss her relationship with Robert Pattinson? "They covet him," she says. "Why would I discuss something that means the world to me with a perfect stranger?" 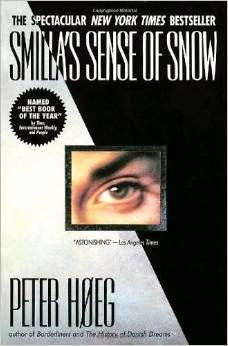 These "other eyes" are the Evil Gaze at its purest, which grounds the paradox of property: if, within a social field, I am to possess an object, this possession must be socially acknowledged, which means that the big Other who vouchsafes this possession of mine must in a way possess it in advance in order to let me have it. ....this gaze of the Other that oversees me in my desiring capacity is in its very essence "castrative," threatening. ....So, for Dominique, the greatest sacrilege is to throw pearls before swine: to create a precious object and then to expose it to the Other's Evil Gaze, i.e., to let it be shared with the crowd. And she treats herself in precisely the same way: she tries to resolve the deadlock of her position as a desired object by way of willingly embracing, even searching for, the utmost humiliation _ she marries the person she most despises and tries to ruin the career of Roark, the true object of her love and admiration. .....she will become his true partner only when her desire for him will no longer be bothered by the Other's gaze _ in short, when she will accomplish the shift from desire to drive. What the hystericized prime mover must accept is thus the fundamental existential indifference: she must no longer be willing to remain the hostage of the second-handers' blackmail. ("We will let you work and realize your creative potential, on condition that you accept our terms"). She must be ready to give up the very kernel of her being, that which means everything to her, and to accept the "end of the world," the (temporary) suspension of the very flow of energy that keeps the world running. In order to gain everything, she must be ready to go through the zero-point of losing everything. (And here we have Nietzsche! Emphasis mine.) And, far from signaling the "end of subjectivity," this act of assuming existential indifference is, perhaps, the veryb gesture of absolute negativity that gives birth to the subject. 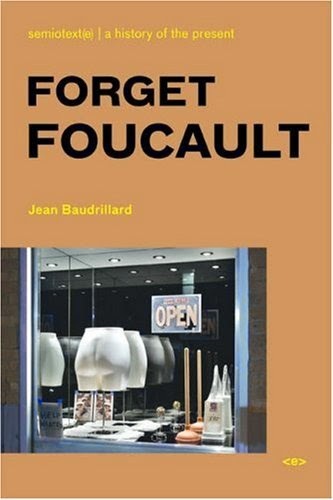 What Lacan calls "subjective destitution" is thus, paradoxically, another name for the subject itself, i.e., for the void beyond the theater of hysterical subjectivizations.